Take control of your health with our wellness center. Let us know how we can help you succeed with your nutritional goals today. Nutrition can be a confusing topic. There are so many sources out there claiming to know the secret to better nutrition or pushing fad diets with no proof behind them. At Marshalls Creek Wellness Solutions, Drs. Coryelle have a deep knowledge and understanding of nutrition and can help create a custom nutritional program to meet your needs. Call us today or fill out our contact form to discuss how we can help you find the right nutritional balance. In a world where nutrition has become a confusing subject, Drs. Coryell help to simplify healthy eating and good nutrition. 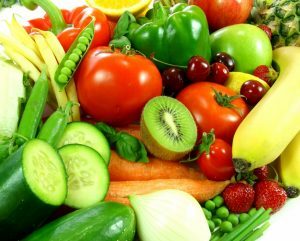 It is true, we are what we eat and inadequate nutrition can contribute to poor health. As your nutrition specialist in East Stroudsburg, we will provide specific suggestions for healthy food choices and sound nutritional counseling to encourage our patients to return to optimal health. Our bodies need certain nutrients to perform optimally. When you are lacking in one area or overdoing it in another, your bodily functions become unbalanced. This can lead to weight gain, vitamin deficiencies, heart disease, bone disease, fatigue, high cholesterol, and more. When this happens, it is important to get the body back into balance by fueling it with the food it needs and cutting out what it doesn’t. Many people believe that healthy eating is too much work. While it is true that swinging through a fast-food drive-thru during your lunch break every day isn’t very nutritious, there are easy ways to incorporate healthy foods into your diet every day. When you make an appointment at our East Stroudsburg wellness center to discuss nutritional counseling, we will take into consideration your current eating habits and find ways for you to make simple and sustainable changes. Do you know which foods and nutrients your body is craving? Drs. Coryell can come up with a nutritional program that is based on your body’s needs. When it comes to getting the right nutritional education, you want a nutrition specialist that you can count on. The Drs. Coryell are those specialists. If you are ready to learn more about the food that you are eating and what food you should be eating, call Marshalls Creek Wellness Solutions today.